Even though you probably don’t need to get into it every single day, you still have a trunk on your car for a reason. You’ll use it to put groceries after a trip to the grocery store, or for luggage when you go on a road trip, or for first aid or emergency preparedness items. So what do you do when your trunk gets jammed and it won’t open? Sometimes you can get to the trunk from inside the vehicle, but often you are stuck having to call for help. Not to worry – you can call us at Cars Towing for open trunk services in Richmond California! We provide nationwide open trunk services to drivers like you so that when this situation happens, you don’t have to try to fix the problem on your own. A jammed trunk can happen from a lot of different things. If you don’t use it very often, it can get stuck from lack of use. If you park it outside, it can get stuck from humidity in the thick California weather or from rain or snow wetness due to inclement weather. Cold temperatures can cause it to freeze. Lack of regular maintenance or having an old vehicle in the first place can result in a jammed trunk. But no matter the cause, we can fix it for you. Our technicians are all professionally trained experts in this field, and we’ll be able to open up your trunk in no time at all. Open trunk services are not the only thing we offer. We also offer all towing services and roadside assistance. Whether you need a local or long distance tow, heavy duty tow, motorcycle tow, tow dolly, accident removal, out of gas services, a flat tire fix, car battery jump start, emergency solutions, or something else, we can do it for you. 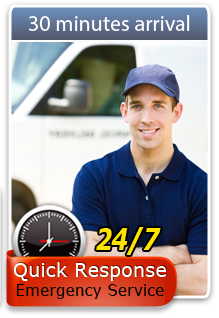 We service all car brands, motorcycles, and trucks nationwide. Cars Towing is licensed, reliable, and fast. Our doors are open 24/7 for your call and we’re always eager to help. With us, you’ll receive only the best in quality customer service as well as affordable prices and quick response. The next time you need open trunk services in Richmond California, or any other kind of nationwide towing or roadside assistance service, call us at Cars Towing.